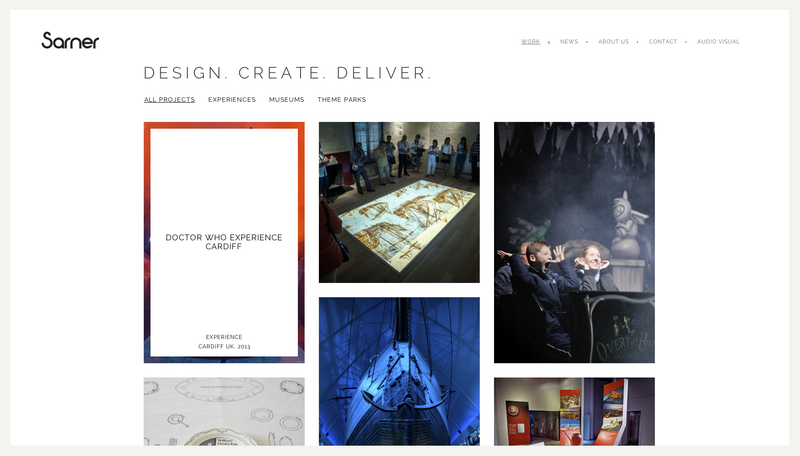 Sarner is an international company specialising in creative audio visual design for a number of clients in a variety of interesting environments including theme parks, water parks, museums, galleries and other visitor attractions. 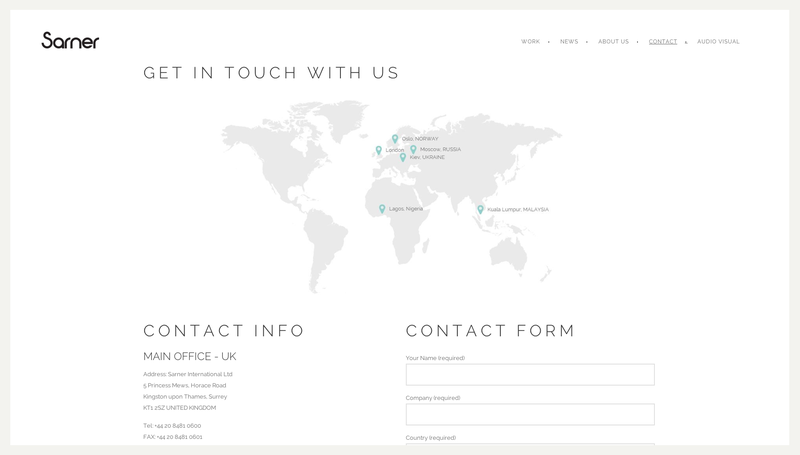 As a well-established company with an impressive portfolio of services and past projects, Sarner already had a website and a brand but both were in need of a little bit of modernisation. 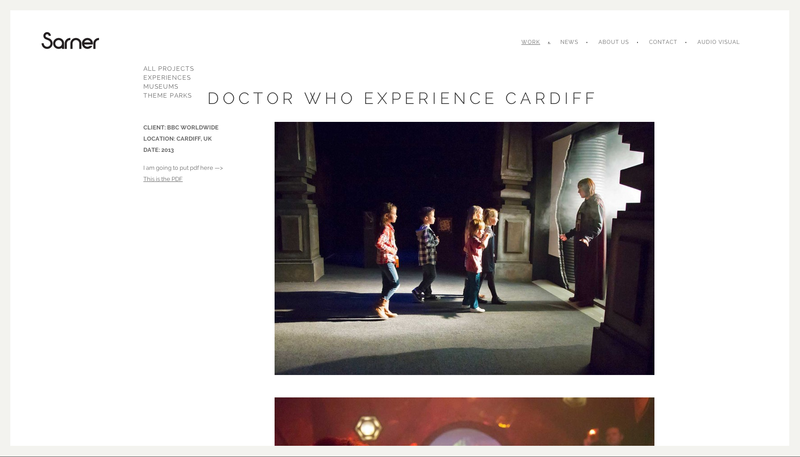 The website in particular was not mobile friendly and wasn’t working as hard as it could to communicate all of the exciting work Sarner is responsible for. 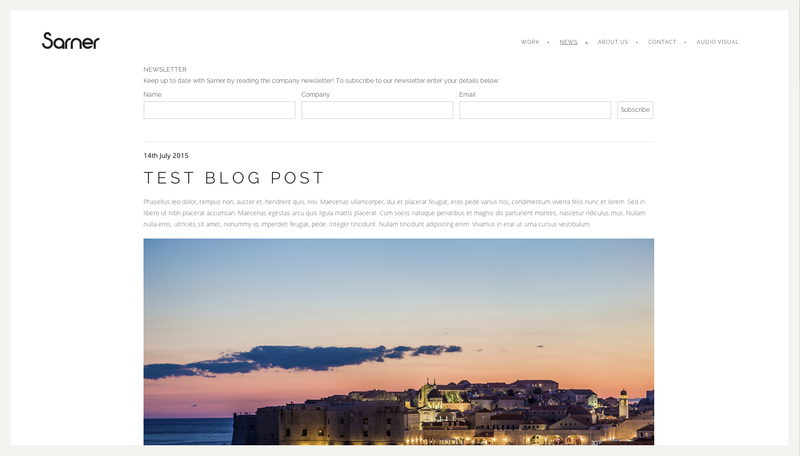 We worked closely with Sarner to produce a website with a more clean and contemporary design than the previous one with large images presenting each projects in a sort of creative scrapbook structure. With the default set to view all projects, the user can then choose whether to view only ‘Theme Park’ or ‘Museums’ projects in the portfolio, allowing a more customised view for each visitor. 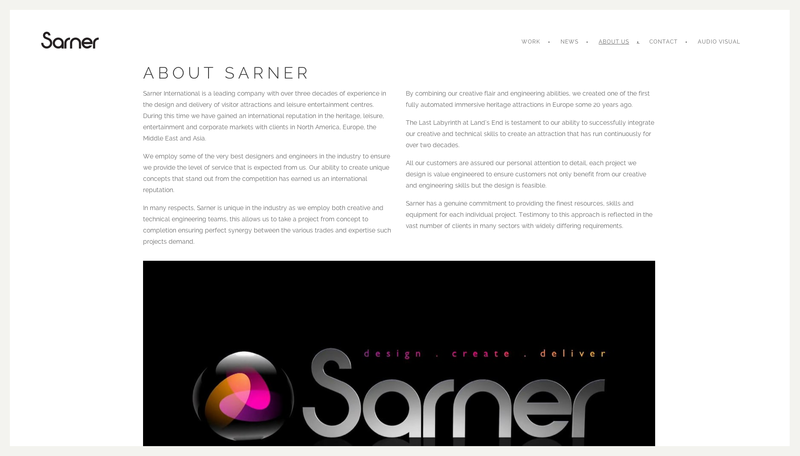 Each portfolio image is connected to a project page where the reader can find more information about that particular example of work completed by Sarner. We also simplified the branding, removing the gradient tones from the logo for a more classic look that fit in with the overall design of the website.